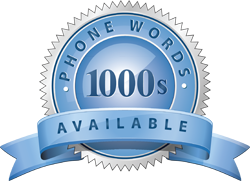 Phone number names carry a range of benefits to serve your business interests. It will definitely benefit both your staff (Outsourced or not) and the business you’re in. Business owners who opted for phone number names experience a huge cut in their mobile network charges. Reason being, they would have missed important calls, which meant they had to return the customer’s call to determine what the query was about. This will no longer be the case as the calls are re-routed to another unit where a professional operator will handle the call in cases where they are busy talking on their phone. With all these benefits and features is it any wonder that many an aspiring business owner wants their own phone number name? The message is clear. If other small business owners use this method for boosting their brand name and realize handsome profits in the process, then what stops you from achieving the same. The power is in your hands to make things happen. Why not give 1300 Easydial a call and get hold of phone number names that matches your business perfectly. Often times you hear the saying that life does not give you second chances. Why wait any longer than you have to. Go ahead, pick up your phone, call 1300 Easydial today and experience the difference right away.